Sunrisers Hyderabad won the match by 5 wickets. Sunrisers Hyderabad won the match by 5 wickets against the Kolkata Knight Riders at Eden Gardens, Kolkata. Billy Stanlake was awarded the Man of the Match for his incredible, economical bowling that had put a break on Kolkata's batting line-up with a very low total on the scoreboard. Team Circle of Cricket gets down to list the 5 talking points of the match. Click on the links to get onto the next page. Kolkata Knight Riders had a slight change in their batting order in today's match against Hyderabad. Robin Uthappa had come opening with Chris Lynn and Sunil Narine the explosive all-rounder was demoted from his position and asked to bat at number four. Kolkata Knight Riders scored very few runs in the match and maybe a change in the batting order was one of it. Sunil Narine is a striking opening batsman, he has even scored a half-century off just 15 deliveries. You can't ask a player like Sunil Narine to bat lower in the order given that fact he is so good while opening the innings for KKR. 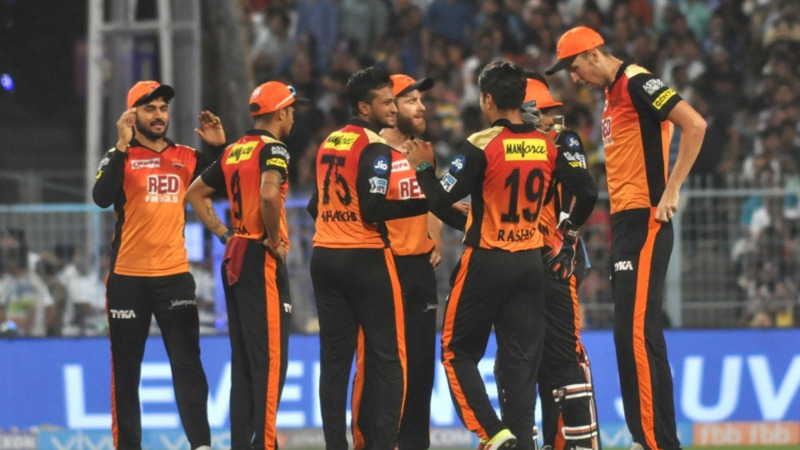 It was a total team effort by the Sunrisers Hyderabad bowlers that restricted Kolkata Knight Riders to a low total and to win the match for their side. They all were brilliant to bound KKR to such a despicable score. The bowlers did not allow the batters Kolkata Knight Riders to free their arms and play their natural game. Billy Stanlake was quick of the bowlers taking the highest number of wickets in the match with Shakib Al Hasan also showing up with a good economy rate. They had the match in Hyderabad's control. 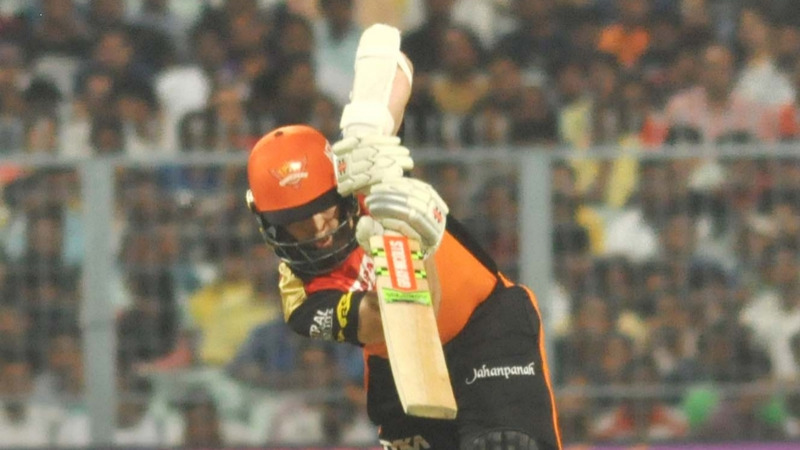 Kane Williamson showed some content while batting, as a captain you are supposed to take your time on a winning side and that was exactly what Kane did for Sunrisers. He set a platform for his team and somehow accelerated his innings to score a beautiful half-century. Williamson's batting had a responsive role to make his team win and he was very well accomplished in that. When Kolkata kept on taking wickets, Kane builds an important partnership with Shakib Al Hasan of 59 runs to rescue their team with the third consecutive win of the season. 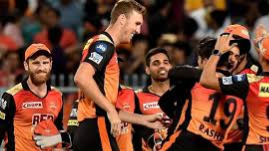 That was one essential and crucial partnership for Sunrisers as Kolkata Knight Rider bowlers started to hit the right deck and jot down wickets. If they would not have played sensibly, the results could have gone either way. Yusuf Pathan came in to do the formalities as the latter scored 17 off just 7 balls with beating Kolkata Knight Riders on their home turf for the first time ever in IPL. Yusuf Pathan came out discharged up against his former team and got them over the line with an over to spare. Kolkata Knight Riders bowler tried their level best to swipe the match in their favour but the given target was too less for bowlers actually do something. The team of Hyderabad is playing so well under the calm and cool captain Kane Williamson that they ended their losing streak in Eden Gardens, Kolkata. They have won all their matches till now and will wish to continue this streak whereas Kolkata will reunite to fix their batting combination and work harder in their next encounter against Delhi Daredevils.